Purpose: The purpose of this session is to get the group educated on how to use Highfive for video calls. Who to invite: Invitees regularly host/attend meetings or conference calls. They can be colleagues in IT, early technology adopters, or anyone with a great interest in using video conferencing. Send invitation to your test group, include a link to the Highfive conference. Give invitees the option to join the meeting in either conference room, or remotely from their computer. 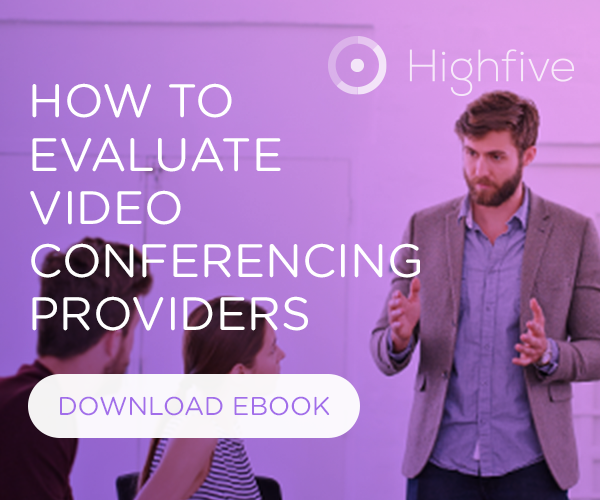 Have all attendees join the Highfive video call. Those who are attending from within a Highfive equipped conference room will move the call to the Highfive device (click Move to TV and begin typing the name of the device). Have attendees in each location take turns speaking. Bonus: have attendees brainstorm what upcoming meetings they will use Highfive for in the coming week.